Idaho Chicken Ranch: Guess We Still Have to Walk Miss Ginger. You know how when you hang a small dog over water they intuitively begin to paddle, even though they are not yet in the water? 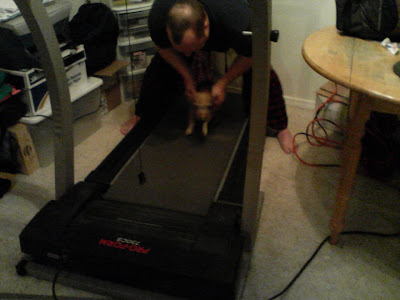 Well, in case you were wondering, this phenomenon does not work with treadmills.